In response to questions of integrity, cannabusinesses around the country are stepping up their operations, adhering to all compliance measures, and promoting an intelligent, friendly and composed staff. Marijuana dispensary manager jobs are integral in facilitating smooth daily business operations and snipping away at stigma toward medical and recreational cannabis. Legal cannabis dispensaries have spurred major conversation surrounding the future of marijuana distribution and the professional potential of the cannabusiness. Dissenters of comprehensive cannabis legalization question the credibility of an industry that has operated under the black and grey market with few established standards for operations. From the outside, most legal cannabis dispensaries are very unassuming. Often appearing in strip malls and other humble structures, it’s only once customers step inside the dispensary do they realize the Willy Wonka-like selection of cannabis before them. Visiting a dispensary for the first time can be daunting, especially since most customers have had to hide their cannabis consumption in the past. Upon entering the store, customers are immediately asked to display valid photo identification proving their age and/or medical patient status. After getting checked in by the receptionist, customers wait until a budtender is ready to give them their full attention. Budtenders remain mostly behind the dispensaries showroom display, where different cannabis products and paraphernalia glitter like jewels for marijuana lovers. Budtenders assist customers new and experienced find quality cannabis products to fit what they’re looking for that day. Budtenders, like baristas and bartenders are responsible for being well versed in the product their selling, and must be able to take each individual’s questions and concerns into account. Cannabis distribution is a primarily cash based exchange due to federal prohibition and banks opting out from participating in the business. For this reason, most dispensaries have portable ATMS, so customers won’t be forced to carry cash. If a cannabis dispensary appears to be running without a hitch, it is likely that a dispensary manager is reinforcing the process from behind the scenes. Not only do marijuana dispensary manager jobs require supervision over entry level and subordinate dispensary staff, they also coordinate the hiring process and training protocol. Marijuana dispensary manager jobs come with a hefty level of responsibility and personal accountability. In addition to overseeing employees, managers engage in direct customer service responsibilities, inventory and ordering, as well filling in any gaps in scheduling. Managers are also tasked with handling customer and employee concerns and communicating with dispensary owners and fellow managers. This is one of the best marijuana jobs for extroverts and a great opportunity for boosting one’s managerial credentials. Qualified, responsible dispensary managers are in high demand as more pot shops crop up around the country. Dispensary owners seek candidates for marijuana dispensary manager jobs that have past experience in management or employee supervision. In addition, managers should have a significant backlog of cannabusiness experience and a passion for the plant and its many iterations. An ever-present qualification that dispensary owners are looking for in all their employees is phenomenal customer service abilities. Marijuana dispensary manager jobs in particular require employees to be excellent communicators and compassionate in their service. Conversely, managers should possess the necessary traits to assertively de-escalate confrontations with customers causing a disturbance. Dispensary management is a well compensated position, but it can be a high stress position at times. Aside from the rushes of customers that can occur, managers are also held responsible for failure to comply to regulations. With all that said, marijuana dispensary manager jobs can come with payouts as much as $100,000 and above. If marijuana dispensary manager jobs sound like the right career path for you, there are a number of avenues to consider to build your credentials up for higher level dispensary positions. One of the best ways to get your foot in the door for marijuana dispensary marijuana jobs is by starting out in a dispensary as a receptionist or budtender and being promoted from within. In fact, some hiring managers prefer to promote dedicated budtenders to dispensary manager positions, so they know they can rely on the employee. Even if a dispensary chooses to hire from outside, working entry level dispensary jobs still help to boost your credibility. Another way to build your cannabis resume is to enroll in job training and certification programs. Broader recreational legalization has ushered in significant expansion of certification courses in budtending, cultivation, edibles creation and more. Services like THC University offer a diverse lineup of courses taught online by industry professionals. These programs fill in some of the informational gaps job candidates have surrounding legal cannabusiness jobs. Especially for individuals looking to broaden their knowledge, but don’t live in a “legal” state, these user-friendly, detailed courses can jump start and fruitful career. One thing to consider when searching for training programs is that not all services offer the same value or expertise. There really aren’t any hard and fast qualifying standards for running a cannabis job training program, so it behooves applicants to be discerning, especially when it comes to price. While it makes sense to pay $1000 or more for in-person training at a grow operation or dispensary, that price might not be worth it for a run of the mill online class. One of the most effective paths to obtain marijuana dispensary manager jobs is through personal and professional connections. It’s by no means a death sentence not to know someone in the industry, but it’s certainly an asset to have established some credibility through some sort of previous relationship. The cannabis community is tight knit and once you’ve acquired one cannabis job, the likelihood of finding another becomes exponentially easier–that is, as long as you’re performing consistently. It’s true that some dispensary owners choose to only hire managers with cannabis experience, others are more concerned with a candidate’s managerial experience. While it’s assumed that applicants be passionate, informed cannabis consumers, some dispensaries hire based on who appear most organized, communicative and who displays the best leadership skills. On applications and during interviews, marijuana dispensary manager job candidates should delineate any past leadership or management roles of significance. 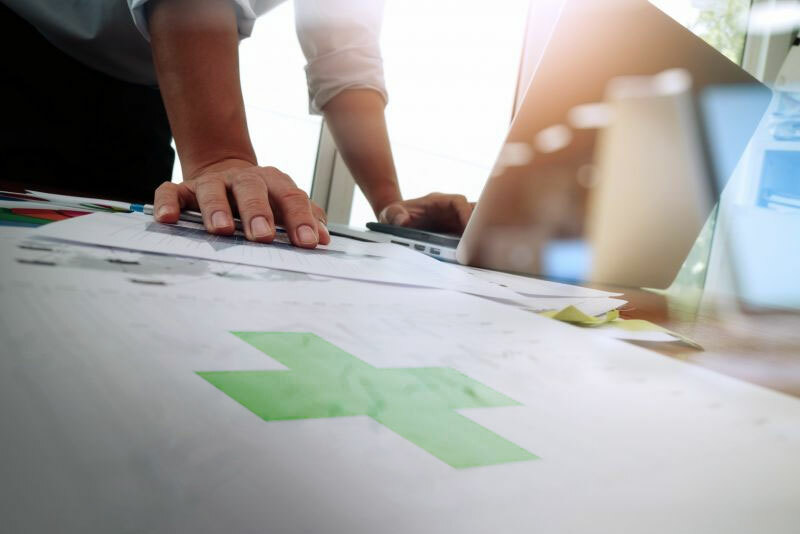 Cannabis dispensary regulations contain a lot of detail and can be very confusing–managers with a backlog of information on cannabis legislation are at an advantage, since they don’t need to be brought up to speed or extensively trained. Dispensary owners want to see passion and dedication from the managers they select to run their businesses. This is a managerial position like no other–candidates should really care about the cannabusiness and have a legitimate desire to drive the industry into a successful future. Dispensary staff have a lot to prove. Not to the customers, not even to themselves, but to the government and corporations that control American business. Dispensary managers are on the front lines of peaceful, professional and now, legal cannabis distribution. Taking a leadership position in a dispensary may come with a lot of responsibility, but it also can solidify a lucrative career for managers and the possibility for significant raises. Since dispensary owners must constantly navigate the ups and downs of running a business and complying with regulations, managers are entrusted to be the main people responsible for the daily, weekly and yearly ins and outs of the business. Dispensaries may be an owner’s vision, but they reflect the hard word of a dedicated staff.